We have been working on a ground up rewrite of Super Speller, and while it’s definitely taking longer than we wanted, it didn’t seem like it was taking that long. At some point we looked up and noticed that it has been nearly two years since the last Super Speller update and November of 2015 when we released Terrella for the Apple TV! It’s hard to imagine how time has gotten away from us so quickly. There are a number reasons we could give for the lack of updates. 2016 was a chaotic year to say the least. And while Susie and I aren’t able to prioritize Quiet Spark as high as we’d like, there’s no reason we shouldn’t be able to provide more timely updates. Actually the blame for that falls squarely on my shoulders. I can do better and I’m going to try and do better. That said, I decided to put the major Super Speller rewrite on hold for a few days and get some minor updates out. There are some small fixes, but mostly they are compatibility updates that should eliminate any alerts you may have seen indicating that our apps my slow down your device. Over the next few days we hope to provide updates to Super Speller, Goalposts, and Goalposts Lite. After that’s done we’ll turn our attention back to Super Speller 5. I’ve blown past multiple self imposed deadlines working on the new Super Speller and have come to have much greater sympathy for George RR Martin and his predictions for completing The Winds of Winter. So, for now, we’ll just say we very much appreciate your patience and hope to have it ready soon! 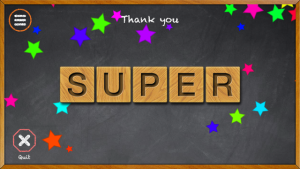 Super Speller version 4.1 is here! We have added more ways to share tests, including support for AirDrop. Word lists are now numbered when using the iPad. We also fixed a problem where tests could sometimes not be deleted. We had teachers request more ways to share tests. Of course we listened and as a result, Super Speller now has support for AirDrop. Using AirDrop is a quick way to share a test with another device that is nearby. You can also share with third party services like Dropbox. The iPad now has numbered word lists. This is especially handy when you are creating a test. Having numbers makes it much easier to see if you have missed entering any words. As for the problem where tests could sometimes not be deleted, well that was just silly! We took care of that issue and now when you want to delete a test, you can actually delete it. Once again we want to thank all of the teachers and parents who send us emails. 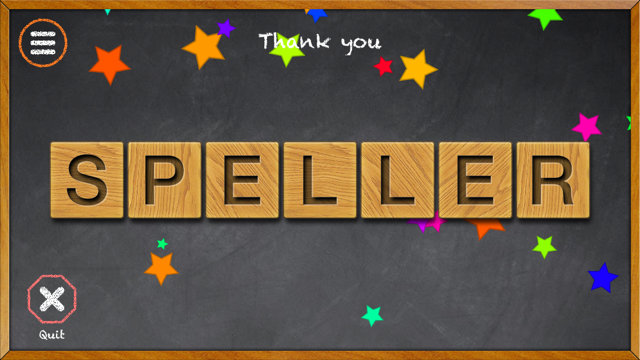 We love reading your suggestions of how we can make Super Speller even better!